While spring brings warmer weather and beautiful, blooming greenery, you might also start to use a lot of energy to stay comfortable. Instead of using your furnace like you did during the winter, you might start blasting your air conditioner on a warm night. Adams Heating & Cooling, offering elite HVAC services in West Springfield, PA, shares their top secrets to reduce energy costs in the coming season. One of the best perks of spring is the mild temperature. 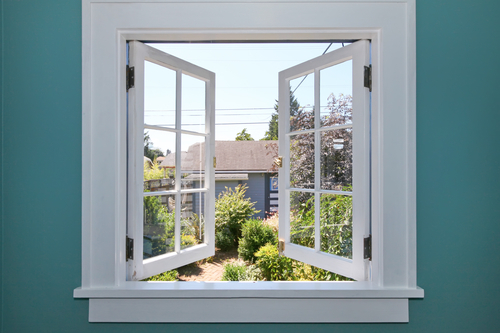 Make the most of the temperate air by opening up your windows and doors and turning off your air conditioner altogether. This will make a big difference when it comes to your energy bills. Plus, your home will be filled with all the scents of budding flowers. As a bonus tip, keep bugs out by putting up inexpensive mesh screens over the windows. Before it gets too warm out, check your home for cracks or holes. Common areas include your windows or baseboards. These little blemishes will leak out conditioned air quickly, which could lead to an increase in energy bills. If you notice any cracks, quickly seal them away using caulk. This is one of the easiest and most efficient ways to reduce energy costs during the spring. Cooking in the winter is wonderful as it helps heat up your home. However, in the springtime, it can make your kitchen unbearably warm. Instead of countering this by lowering the air conditioner, simply switch up your cooking methods. Try using a slow cooker instead of your actual oven. Likewise, use an outdoor grill. When you use fewer heating appliances, your home will stay more temperate. Reduce energy costs this spring by sticking to these tricks. If you are looking for a reliable heating and cooling contractor in West Springfield, trust Adams Heating & Cooling. Since 1998, their professionals have helped Erie County residents save money on their energy bills. For more information on their HVAC services, visit their website or call (814) 922-7786 today. How Does Having Zone-Controlled HVAC Service Save You Money?